Now that we’re well into the fall months in Minnesota, it’s time to start planning in some time for yourself. So this fall, treat yourself or your loved ones to something special, and come spend a few blissful nights at our award-winning Bed and Breakfast in the historic, beautiful town of Center City, Minnesota. 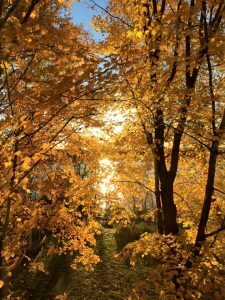 Nestled along the shores of the Chisago Lakes and near the beautiful St. Croix River, fall in this area is simply magical. There’s something special about taking time to yourself during these beautiful transitional months, and when you stay at our romantic Minnesota Bed and Breakfast, you’re part of our family. Come see what makes us different than our competitors. Book your room at our Minnesota Bed and Breakfast today. It’s true that there are plenty of wonderful places to stay in the greater Chisago Lakes area, but none quite match up with the romance of the Summit Inn Bed and Breakfast. The St. Croix River valley is exceptionally beautiful this fall. Whether you want to get outside for some hiking, paddling down the Chisago Lakes Water Trail, shopping and exploring the history of our charming towns, or visiting regional wineries, there’s more than enough to keep you busy in Center City, Minnesota. Inside our Bed and Breakfast, you’ll find comfortable suites, tastefully decorated and designed with you in mind. But your stay is about more than the accommodations, and even the hospitality. What you’ll find here is an experience; one that is reflective of the independent spirit of Minnesota itself. Our Minnesota Bed and Breakfast is situated just minutes from all there is to enjoy in the Greater Chisago Lakes Area, including fine dining, great shopping, the beautiful lakes themselves, the St. Croix River valley, and plenty of recreation opportunities. From here, your options are endless. 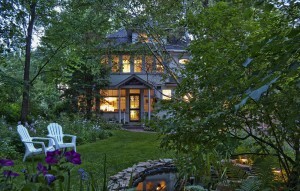 Plan a little escape this fall at our Minnesota Bed and Breakfast. You won’t regret it! Book your room today.